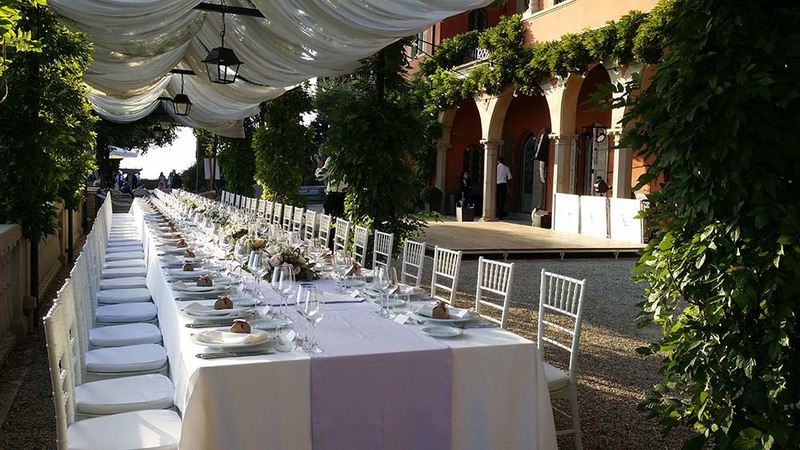 The beautiful bride and groom Kirsty and Richard from UK have chosen one of the best wedding location in Italy for their wedding ceremony, reception and party: Villa Le Fontanelle in Via di Careggi 26, 50139 Firenze, Italy – feat. Guty & Simone as wedding band Villa le Fontanelle. All the event is perfectly organized with the inestimable help of Neve and Letizia of “Wed in Florence” and of the Villa Le Fontanelle event managers Giorgia and Ilaria. Guty & Simone “Villa le Fontanelle wedding band” provide the perfect soundtrack for the entire evening: for the aperitifs they set up a sound system in the terrace next to the chapel and play a background music playlist, for the dinner they set up a sound system and a wireless microphone in the loggia for some background music and speeches; for the wedding party they set up their main sound system, instruments, DJ equipment and lights system in the main hall where there’s also an open bar; the first dance is Lighthouse Family “High”, suddenly afterwards the Wedding band Villa le Fontanelle play a mix of dancing live and dj music and they fill the dance floor all the evening. Contact us here! 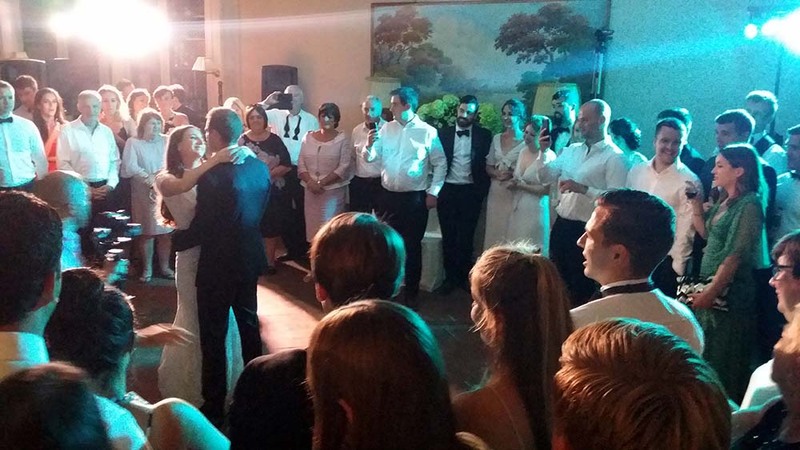 The videos show the bride, groom and guests dancing to the music of Guty & Simone “the Italian wedding musicians and Dj” and Villa le Fontanelle Wedding band. 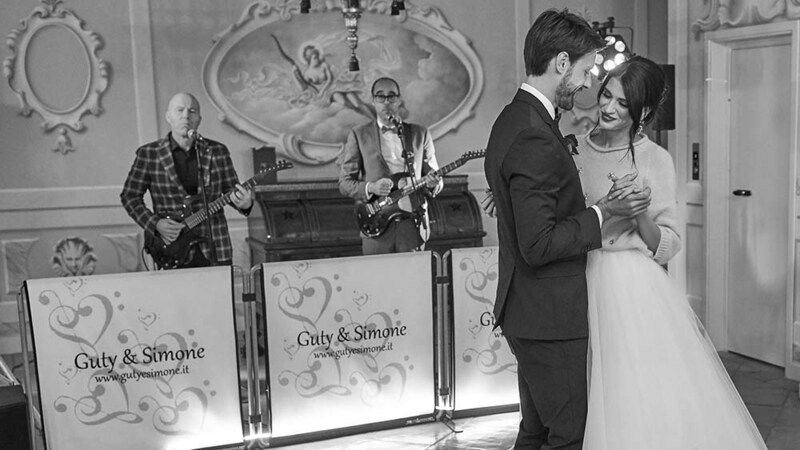 In the photo below: Guty & Simone – the perfect Villa Le Fontanelle wedding band! !